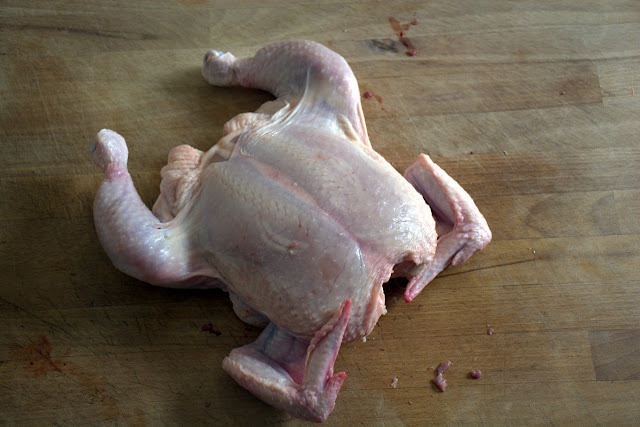 A spatchcocked bird is poultry or game that has been prepared for roasting or grilling by removing the backbone and flattening it out before cooking. If you say the word "spatchcock" to someone who does not know what it is they will think it is rude! You have been warned. So now we know what it means, why would you want to do it? It's all about even cooking. Heat is applied to meat and the speed at which the heat penetrates the middle all depends on how thick the meat is. Keeping meat an even size means that you can ensure that everything cooks at the same time. Spatchcocking is the best method when it comes to cooking a whole bird on a BBQ. 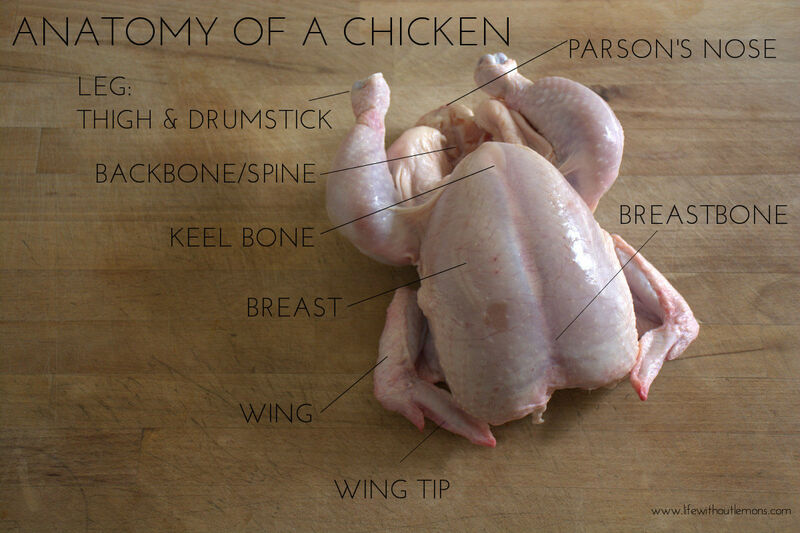 Using sturdy scissors or poultry shears, cut up along each side of the parson's nose (see note below) and backbone to remove it, cutting through the rib bones as you go. Cut down the side of the spine on both sides. Open the chicken out and turn over. 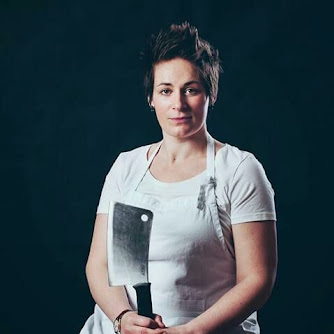 Flatten the breastbone with the heel of your hand so that the meat is all one thickness. You will hear the keel/breast bone crack. Griddle, grill or barbecue for 15-20 mins per side or roast for 40 minutes (depending on size of bird). NOTE: Do you know what a parson's nose is? It's the fleshy part that sticks out at the back of the bird. In the UK we call it the parson's nose. The phrase "parson's nose" comes from the notion that an English parson may 'have his nose up in the air', upturned like the chicken's rear end! So next time you want to BBQ a chicken ensure it cooks perfectly and spatchcock it.